Have you ever worked really hard at planning an important program, event, meeting, then finished the meeting wishing more people attended? Afterward, you left convincing yourself that “everyone came that needed to be there,” or maybe you left encouraged to get more people to attend. If you see a need to increase your attendance in your programs or your meetings and special events, I have one question to ask. How did you tell them about it? Careful consideration of your communication means and implementation process are key to having satisfactory attendance. Your means of communications informs your audiences about the event. Your implementation affects whether people stay at the event, give positive feedback after the event to others, or participate in the future. Consider the below five thoughts when planning your event, meeting, or program to increase your attendance. 1. Create a clear and concise purpose for what you are doing. Identify that one sentence that describes what you are doing. Adopt that message. Then, share it with all those involved in planning to ensure everyone communicates consistent information. Also, use that message in your online communication. For many events, it helps to also communicate to people why they should attend. You can refer back to your purpose of the event or tell people how they may personally benefit from attending. 2. Tell people (in your target audience) about your event, program, or meeting through verbal communication. A fisherman casts his net in the areas of the water that he believes has the most fish. The same concept aligns with marketing. You may be open to getting fish in every part of the water, but for the best result, you want to cast your net near the fish you want to capture. Identify your audience and target your communication toward them. This tip also speaks to the benefits to speaking in-person or over the phone. When you see people who may be interested in attending your meeting, program, or event, let them know you would like to see them there. It helps when we know someone wants to see us (or needs us). 3. Follow up initial contact with other forms of communication. Your initial communication with a potential attendee may be through email, social media, or in-person. Follow-up that communication with another form of communication. If you talk to them in person, later send them an email or invite them to the event on Facebook. If you tag them in a post on Instagram or Facebook, follow up later with a direct email. 4. Fulfill the purpose of your event, meeting, or program. Assuming you have prepared a concise message to tell people about the event and why they should come, the next step is follow through. Prepare and implement your event with the intent to exceed your expectations and the expectations of your audience. It helps to review your event plans with a person who is unfamiliar with your plans. Talk them through your plans for the event, and confirm any questions they have. This should help decrease questions on the day of the meeting or event. 5. Get feedback and follow up afterwards. Some of the great event planners provide an opportunity to learn more about how they can make the experience better next time for their guests. This may be as formal as creating a survey or as informal as asking several participants. Getting feedback is a great way to find out how your marketing affected attendance, whether your attendees found it beneficial, and what aspects were most helpful. Assuming you obtained contact information for your attendees, send them a follow-up email thanking them for attending. Share any additional information, and provide them with a way stay informed moving forward. Refer to the feedback from #5. 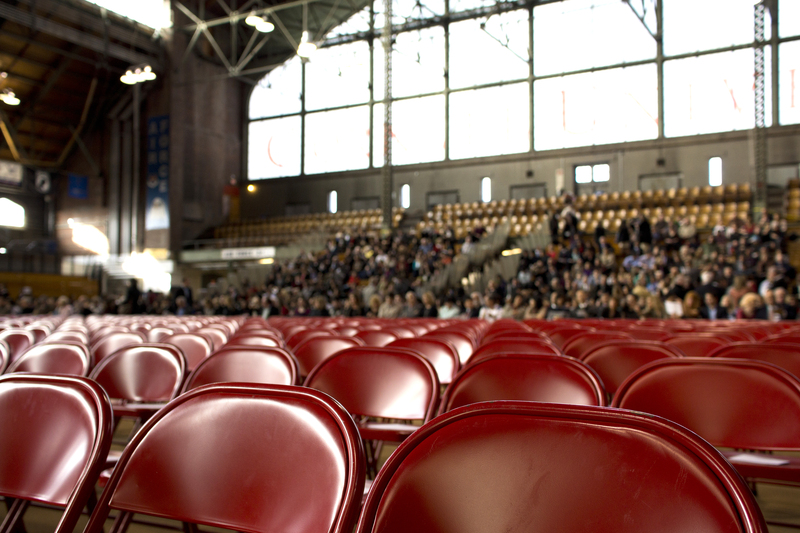 Give thought to whether location, dates, and time affect your attendance. It matters whether there are other events happening on those days. Also, consider how efficiently you use the participant’s time. People may be less likely to attend if the meetings are not productive or necessary to attend.